The importance of an under wash when painting with watercolors. 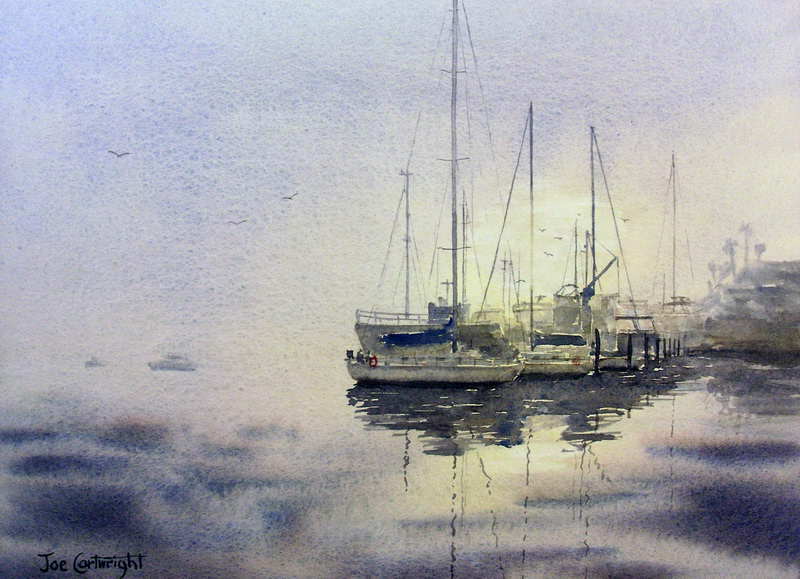 I have just posted my latest watercolor painting demonstration. It is a painting of a narrow Venice Canal. I love traveling to Venice and even though I have only been there twice now. The last time for about 12 days, I know I will be going back their again. There is something about the place that I just love. I hope you don’t mind this group email but I figured it was the best way to let you all know what I have been up to in magnificent Venice. It is now Sunday night (2nd May) here so I have been here for 6 days. So far I have painted 4 watercolors, one sketch and one pen and ink painting. Oh and did I mention that I have walked half way around the world and taken about 3000 photos! There are just so many wonderful things to paint here – the biggest problem is deciding where to start! Actually about a third of the photos are of street signs so that in the future I will be able to work out the location of each scene. I arrived last Monday night after about a 30+ hour trip. Not fun but at least uneventful. I had been on tenterhooks for days before I left, not knowing if the flight would be cancelled or not. In the end all I had to put up with was a 5 hour delay which got me into Venice at 7pm instead of 2pm, really a non event for me considering what other people had to go through because of the volcano disruption. The next morning I headed off with my backpack and determination to walk all over Venice- it turns out Venice is a lot bigger than I first thought, so after 12 hours of walking I had only seen a very small part of it – oh I did pick up a couple of blisters on the way and my calf muscles felt like I had them climbing Mt Everest! Needless to say, despite carrying a heavy backpack all over the place I did not get a chance to get any of my art gear out. Actually I did find a place of which I thought I would do a Pen and Ink sketch but made the mistake of just seeing what was around the corner and never could find the original spot! I think I took about a 1000 photos on day one! It is very easy to get lost in Venice, because of its multitude of narrow streets and alleyways, but at the same time it is very easy to find your way back to the key tourist spots of San Marco (St Mark’s) and Rialto ( Rialto Bridge) as there are signs with arrows to each of these locations everywhere. But finding a little out of the way corner again is another problem! From the time I got here the weather forecasts kept predicting rain after a few days but I was lucky as the rain held off until today (day eight) – though it is supposed to rain from now on. So I put off any visits to museums because I knew the rain was coming. Hence tomorrow I will head off and be a regular tourist and will leave my painting gear behind (as you all know watercolor and rain just don’t mix). Today I was doing a painting of one of the canals when it started to rain so finished it off under cover of a local church or some such building – I was approached by one of the local art teachers (specializing and printing and etching) and we had a good discussion for about 10 minutes about watercolor and materials. He spoke little English and I had less Italian but between us we could make ourselves understood. I think meeting new people like this is one of the great pleasures of painting plein air. I also had a nice chat to a lady from Slovenia. While all this was going on someone was playing some beautiful Italian music on a piano and flute – heavenly! After day one I have been taking less and less photos, my feet have become accustomed to many hours of walking and I have now done a few paintings (nowhere near as many as I had planned – but I already have enough photos to keep me busy for a long long time). While doing my pencil sketch of one of the plaza’s here a school group turned up and I had a very large crowed around me. I quickly stopped worrying about whether or not my work was any good and just concentrated with handling the challenges of painting outdoors. I haven’t seen a lot of other artists painting here. It is actually a bit difficult to tackle the more iconic scenes as there are just too many tourists and the narrow streets, which I intend to do a series of when I return. I would have been totally blocked some of these narrow streets if I set up my easel – definitely would get me arrested at the least I think! Today, once the rain hit, I headed off with my camera and got some wonderful photos of reflections at San Marco and in many of the narrow Venetian streets and alleyways. For once San Marco was not a sea of tourists as they all headed for cover, but there was just enough to give me some great reflection scenes. 1. How do the Water Bus Captains know when they have reached a pier? When they run into it! 2. Women with babies spend more time lifting their prams over the bridges than they do pushing the pram. If I stopped to help every woman I saw with a pram I would not see Venice. 3. If you ask where the toilet is and the restaurant does not have one they just point somewhere down the street. 4. Fruit is actually quite cheap here. 5. If you walk around with a camera around your neck they just assume you are not Italian and they speak to you in English (most but not all). So much for spending 6 months trying to learn to speak Italian! 6. If the Venetians started charging people for taking photos of their beautiful city they would be way richer than they are now. 7. Dogs a very popular in Venice and most people clean up their dogs poop but not all so you still have to keep an eye on where you are stepping. 8. It is easier to buy a beer or wine in Venice than it is to get a coffee. It seems anyone can sell you a beer or wine but not all sell coffee. Tonight I had pizza at a Pizza Bar which sold beer and wine along side of Coke but did not sell tea or coffee. The Italian’s make the best coffee I have ever tasted by the way. 9. You could probably paint the same little canal every day for a month and have a different painting each time. Well that’s about all for me for now. I look forward to seeing you when I get back in about a week’s time. PS: please excuse the rambling and any typos as I am a little brain dead at the moment and can’t bring myself to have another read of this. Well that is it for my little story. I hope it was of some interest to you.